The poor souls live within range of a leaking nuclear power plant and catch radiation poisoning. All nuke power plants leak radiation; the nukes are supposed to leak. seven hundred and fifty-three CPM. The increase in Gamma radiation in the States last week, October 13, 2018, to October 20, 2018, was an unacceptable 84,741,907 CPM. The Total Gamma Rad 2018 Annual Projection is just over 4.090 Billion Gamma Rad for the US. The Rad measured YTD in 2014 was 3,320,175,322 CPM YTD. “This is a Bad situation for all who breathe,” states EU physicist Dr. Paolo Scampa. Now included, for the 41st Week of 2018 just passed, all cities above 41 Million CPM  Year to Date [YTD] of deadly Gamma Radiation. Today’s 293-day or 7,032-hour report for January 1, 2018 to October 20, 2018, is another case of Bad news from your radWeather Report. 80.27% [to October 20] of 2018 is gone. 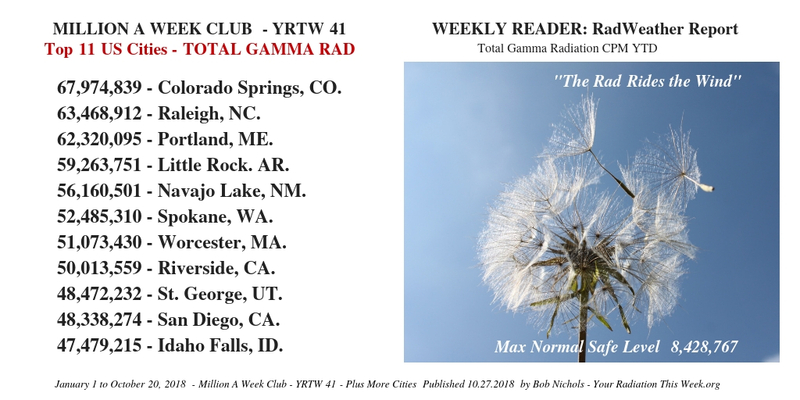 Within minutes or hours of publishing this list of cities over 41 Million YTD Counts of Radiation, four more cities will Zoom past 41 Million Counts of deadly Gamma Radiation since January 1, 2018. Cell assassins, like Plutonium 239, and its brothers were never around; they did not exist on this Planet. 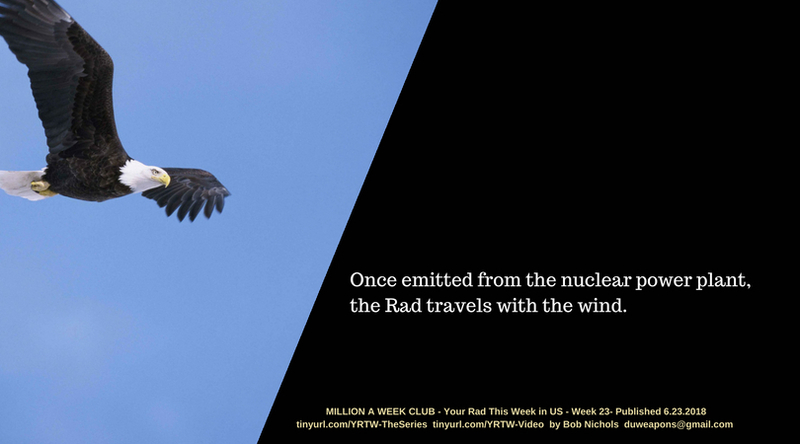 That will be 27 cities above 41 Million Rad Counts so far this year. NEW DATA 2018 Annualized Rate of Gamma Rad: 84,678,553 CPM.